In 2010, children in sub-Saharan Africa were dying from malaria at a rate of one every 30 seconds. Today that rate has dropped to one every 60 seconds. The difference? Our church’s campaign to eliminate malaria. In 2008, we had “Nothing but Nets” which partnered with the NBA as well as the Bill and Melinda Gates Foundation. Then in 2010 this effort became “Imagine No Malaria.” Imagine No Malaria still has the support of the Gates Foundation but also the World Health Organization, The Global Fund to fight AIDS, Tuberculosis and Malaria, and the United Nations Foundation. Since 2008, The United Methodist Church has raised $40 million dollars toward our goal of $75 million. Together, we have distributed 1.2 million insecticide treated bed nets and trained 5400 community health workers to distribute bed nets, train families in their use, and track usage rates. The results are obvious. In the last three years we have reduced the childhood death rate (from malaria) by half. Why us? Why is the church important if the NBA, Bill Gates, the UN, and these other big names are already involved? Is it just because eleven million United Methodists can raise money? That is undeniably a part of it, but helping the poor has been a part of our United Methodist DNA from the very beginning. For 200 years we have built and maintained hospitals and schools all across the continent of Africa. When this project was conceived, everyone knew that while Americans can often be generous, and some are great at publicity, someone had to be the “boots on the ground.” United Methodists were already there, all across the continent of Africa. Over two centuries we have built relationships with governments, leaders and decision makers in many of those nations and we established a reputation as being genuinely interested in the welfare of their people, as well as trustworthy. Of course, we can’t rest yet. The job isn’t done. We haven’t reached our goals and one child every sixty seconds is still way too many. 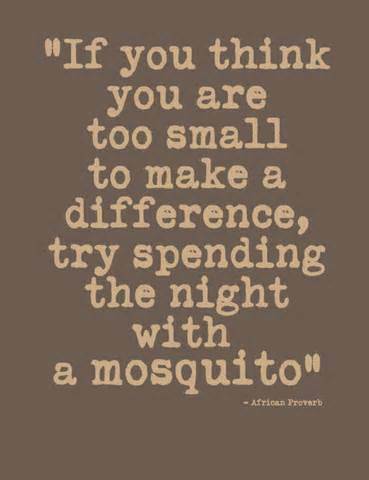 The goal of Imagine No Malaria is the total elimination and eradication of malaria from the face of the earth. That’s a long way off, but we’re headed in the right direction. …because today their children are not dead.